Can a Vinyl Wrap and Paint Work Together? Of Course They Can! – When it comes to wonderful, colourful designs – wrapping is a great option. 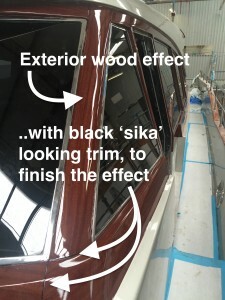 – When it comes to exterior wood effect – wrapping is a fabulous option… When lacquered, you can’t tell its not wood! 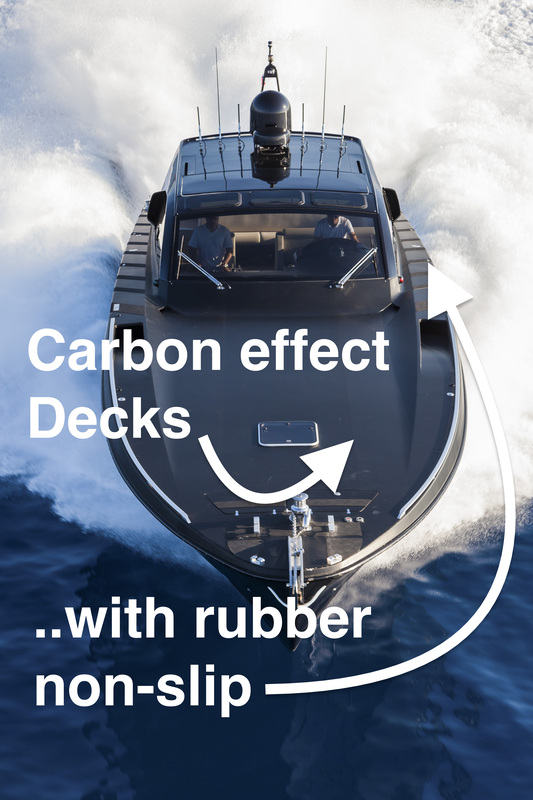 – When it comes to effects like carbon/brushed aluminium – wrapping is a go to. We love paint, and we love wrapping: They go together like yin and yang. …. and as a benefit, if you sell – then the wrap can be removed so you can sell a vanilla yacht.